Discussion in 'Tank Journals' started by jorahx4, Jan 3, 2018. Mozby, fishy408, scuba71 and 2 others like this. You'll know when you put your hand in the water and get zapped! Mozby, daddio and ashburn2k like this. Finally finished setting up some new equipment. I got an icecap gyre 1k to increase the water flow and ATI essentials + 6 dose pump to maintain stable parameters! 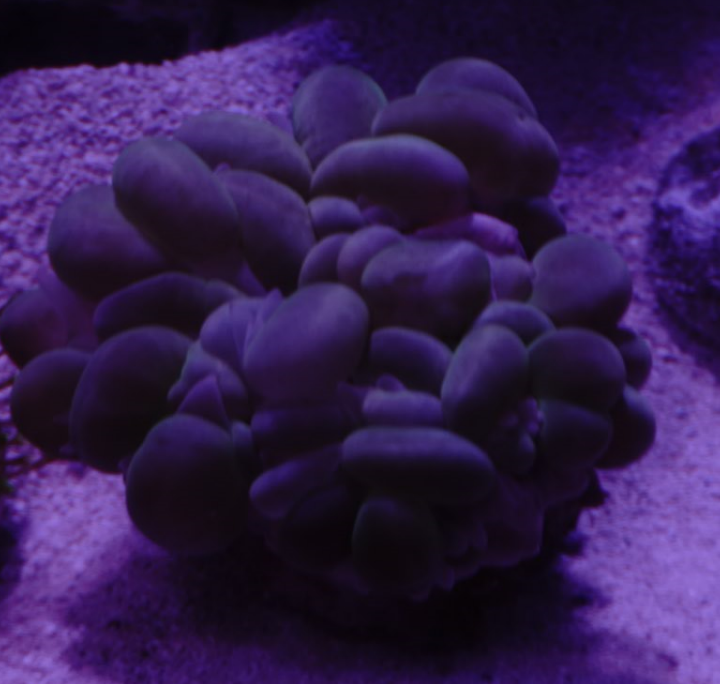 I don't have a huge consumption from the corals, but I test daily and noticed a .2 dkh drop daily. Hoping with increase water flow and stable parameters I can finally start housing bigger SPS colonies. Are u selling that baby nem??? I’m sorry, no it’s not for sale. Thank you for viewing my build thread tho! Found a bug last night at 2am. Does anybody have an idea what this is. Thats no bug, it's a slug. Actually it looks like a Stomatella which is a snail. We have a bunch in our tanks. Seem harmless til they crawl into the sump/skimmer lines. Interesting! Yeah I was super worried. First I found a bristle worm about a week ago. And before figuring out what it was I nearly broke the rock apart trying to get it out. Failed. Now I found this one and was worried. Agree, stomatella snail. They are a good clean up crew member. Bad photo but here’s one I got of the worm the other night. I can’t tell what that is. Could be a bristleworm. There are different opinions about bristleworms. Their spines can stick in your skin and be very irritating. Otherwise they are a pretty benign critter, don’t bug coral or other animals as far as I know, and are part of the CUC. I remove them when it’s easy to do but otherwise I don’t worry about them. You can use a bristleworm trap to reduce their number if you want. A lot easier than trying to catch them manually in the rockwork. When I first saw it. It was farther out and easier to identify. And after talking to people I came up with it being a bristle worm. I have seen it a few times since and left it be since it just eats left over food. Well. 5 days of testing since introducing the ati essentials and my alk has not changed one point. But I am stable at 8.1 when the ati essentials ideal range is 7-8. Maybe I’ll turn it off for a few days get into that range and then resume at current dose amount. 8.1 is good. There is quite a bit of differing opinion about optimal alk level. Lots of people aim for higher than you have. Consistency is important so if you have that, you shouldn’t change your dosing in my opinion. RandyC and jorahx4 like this. Yeah, keep it right there. Don’t touch it. Yup...agree with everyone else. If that CSB don't looked pissed, leave alk alone. Notice I only said CSB, other coral/nems don't matter. Haha. Everything is extremely happy! Except dumb sps. They all go bleached. And I’m tired of adjusting the lights to get sps to survive. Everything else is happy and that makes me he happy. One of the hammers is even sprouting a new head! If you keep adjusting the lights then that’s probably why the sps is so upset. Stop fiddling. Find a start point then let it sit for a few weeks to months. Make small incremental changes.